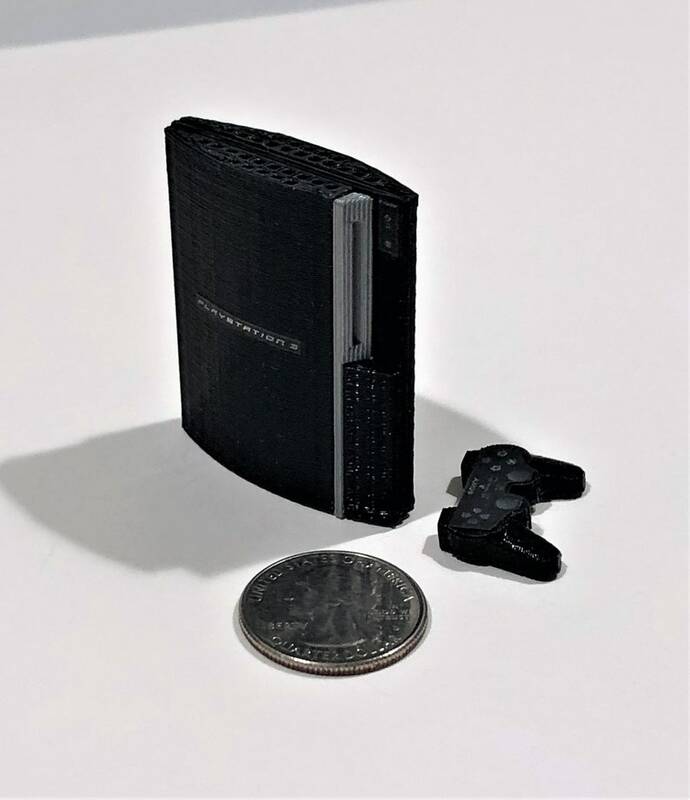 This tiny, 2" Sony Playstation 3 was designed using open source CAD software, 3D printed on a Makerbot Replicator, and hand painted and assembled. Includes the console and one controller. A great addition to your desk or studio. Another Home Run from Rabbit Engineering. Mini Nintendo Gamecube - 3D Printed!